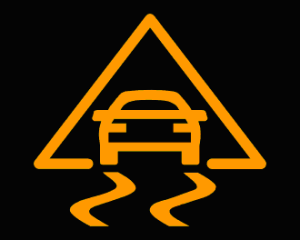 Mercedes Benz Electronic stability control(ESC), also referred to as electronic stability program (ESP) or dynamic stability control (DSC), is a is an electronic technology that helps the driver maintain control of the stability and steering of the vehicle. When steering control is lost, it automatically applies the brakes to help “steer” the vehicle where the driver intends to go. It goes without saying just how important this facet of the car is! Living in South Florida we drive through deep puddles and flooded parking lots. The hurricane season is a fact of life down here and responsible drivers must be prepared for the season and the year round conditions. Electronic stability control is part of he ABS control module. Some ESC systems also reduce engine power until control is regained. ESC does not improve a vehicle’s cornering performance; instead, it helps to minimize the loss of control. According to Insurance Institute for Highway Safety and the U.S. National Highway Traffic Safety Administration, one-third of fatal accidents could be prevented by the use of the technology.